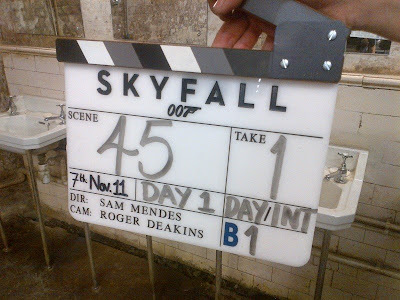 The first official picture from the set of Skyfall has been released, and it features.....a sink. James Bond must be taking on an army of sinks falling from the sky. It's ok to not laugh at our lame attempt at humor.